Diesel Test is a performance enhancer currently available for trial that claims to help you achieve “mind-blowing results”. If you are tempted by this offer there are a few things you need to ask before you rush to sign up. Firstly, does this product work as claimed, and secondly are there any hidden charges associated with the offer? The following review will answer these questions and more, so please read on to discover the truth behind the claims. 4 Is Diesel Test a scam? To confirm these claims we will need to look at this product in more detail. In particular at the ingredients that have been used. Diesel Test is said to help boost natural testosterone levels that will promote numerous benefits, unfortunately there is not one mention of any of the ingredients used in this product. This makes it impossible to comment on whether this product works as claimed, or is completely ineffective. What is most worrying, is that without any ingredient information we cannot confirm whether this product is even safe to use. It could potentially contain ingredients that could cause side effects to occur. As mentioned already, Diesel Test is available for trial, but this does not necessarily mean that there is no risk involved with the offer. The T&Cs located at the very bottom of the website state that this trial is only for 14 days, after which you will be charged the full purchase price of $89.95. This wont be the end of the charges either, as the trial leads onto an auto-ship program, like so many other trial offers before it. Meaning that further monthly packages will be received at full price. Is Diesel Test a scam? There is a lack of proof available to back up the claims made, the cost of the product is also higher than many other alternative products. I would suggest that if you are tempted by this offer, that you have a moment to think about what you are actually signing up for. Trial offers are rarely as good as they appear to be. As is the case here, most are overpriced and lack the necessary proof needed for my ease of mind. D-Bal is our suggested alternative as it contains proven ingredients that offer various muscle building benefits. 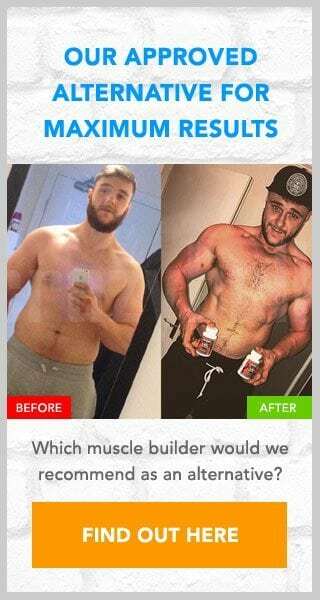 It is available from the Crazy Bulk website and it has been created as a safe and legal alternative to the banned steroid Dianabol. As D-Bal is not available for trial you wont need to worry about auto-shipments or hidden charges.